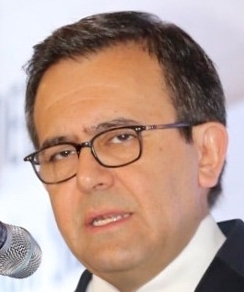 OTTAWA — Mexican Economy Minister Ildefonso Guajardo on Monday discussed his concerns about new Canadian tariffs on steel during a call with Foreign Minister Chrystia Freeland, a Canadian government source said. Guajardo said last week he rejected Canada's move to impose new quotas and tariffs on imports of seven categories of steel from many countries, including Mexico, and would press Ottawa for an exemption. "This issue was discussed, certainly. Their position has been made known," said the source, who requested anonymity given the sensitivity of the situation. The source did not give further details. Canada announced the tariffs to head off a potential rise in imports that the United States fears could be improperly routed through Canadian facilities. The United States slapped sanctions on Canadian and Mexican steel and aluminum imports in June and has not lifted the measures despite agreeing a new trilateral trade deal with its two neighbors. The Canadian source said Freeland and Guajardo had also talked about what would happen next with that pact, the U.S.-Mexico-Canada Agreement, but did not elaborate.